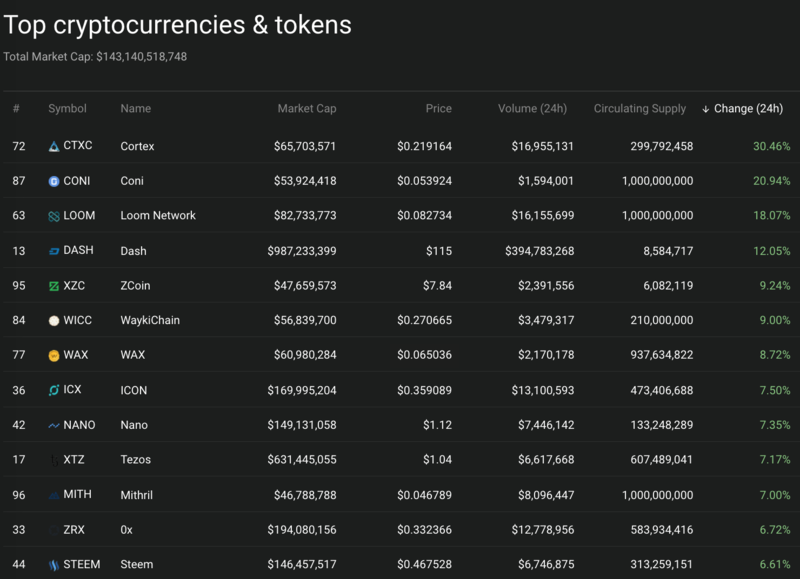 The broader crypto market is slightly green to sideways. Bitcoin is at 4125 USD and hasn’t given up trying to break overhead resistance at 4200 USD. 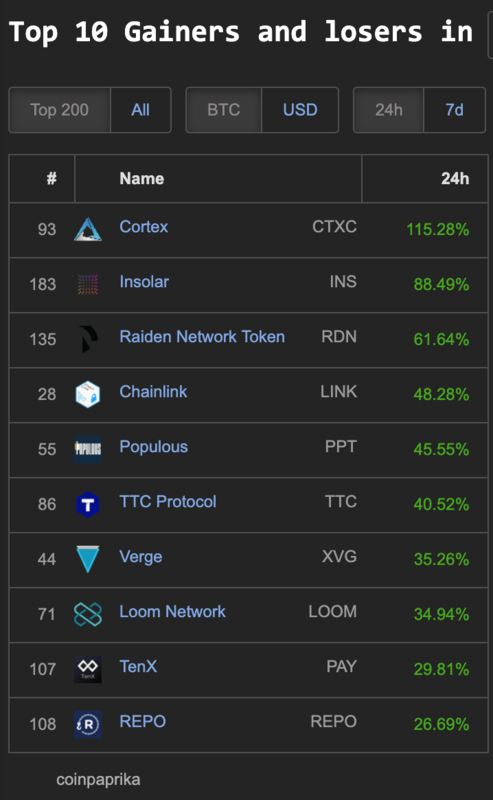 Coin360.io has just 4 coins with double digit percentage gains in the top 100 market cap: Cortex (CTXC) 30%, CONI 20%, Loom Network (LOOM) 18% and DASH 12%. 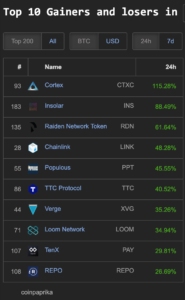 The top 200 market cap on Coinpaprika.com has 10 coins making double digit percentage gains: Cortex (CTXC) 115%, Insolar (INS) 88%, Raiden Network Token (RDN) 61%, Chainlink (LINK) 48%, Populous (PPT) 45%, TTC Protocol (TTC) 40%, Verge (XVG) 35%, Loom Network (LOOM) 34%, TenX (PAY) 29% and REPO 26%. 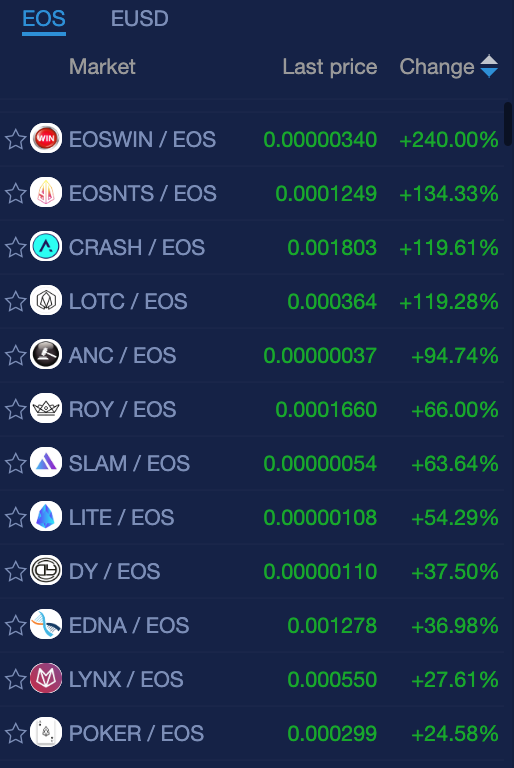 EOS tokens trading on the NewDex.io are the clear winners in the cryptospace again today: EOSWIN (240%), EOSNTS (134%) CRASH (119%), and LOTC (119%). 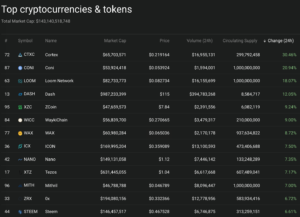 There are a dozen and half double digit percentage gainers—some non-gambling coins/tokens being: ANC (94%), LITE (54%), EDNA (36%) LYNX (27%), EETH (24%), VOID (23%), PGL (18%), ENB (18%), EMDS (11%) and MUR (10%). 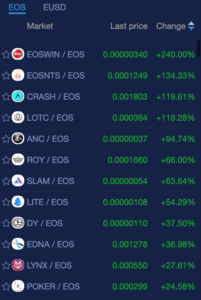 Tokens and Coins trading with EOS at NewDex.io are the winners in the crypto market today.